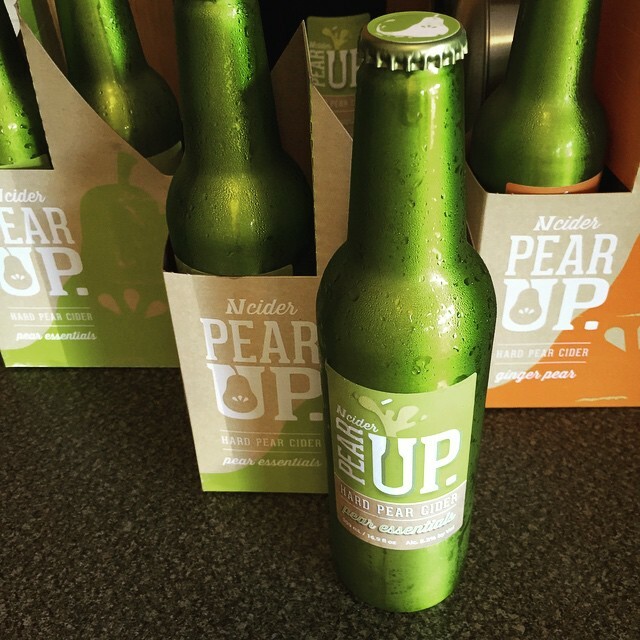 Review of Pear Up’s Pearjito Colada. I previously tried this (see here), plus their Pear Essentials, Half Past Prudent, Cherry Perry, Watermelon Perry, Watermelon Raspberry Perry, Raspberry Perry, Pearjito Colada, Pearfect Pie, and Pineapple Pear. Availability: Washington and Oregon; see here. Cidery Description: Neigel Vintners is a family affair. Our cider company is run on our family property. 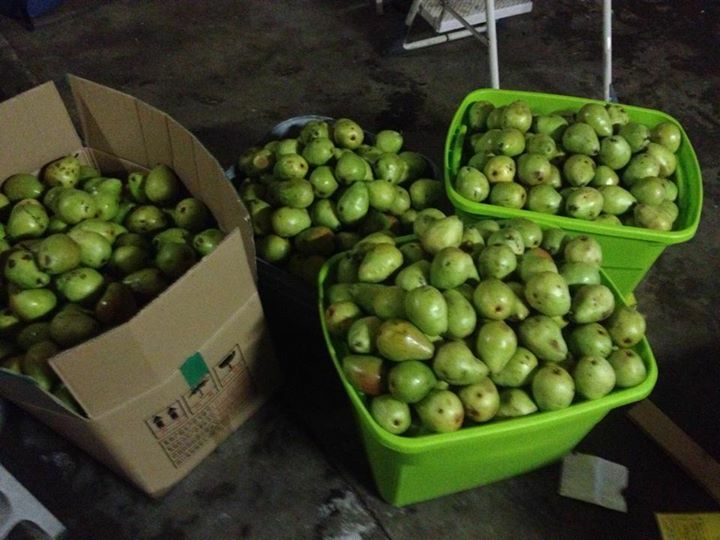 Some of the first pears we press each year come off of remnants of the first pears planted by the family. Over 100 years old, these trees have had their heart-wood rot out and survived. There are several places a person can reach through the center of the tree with a hand. 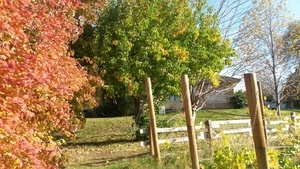 These trees have been a staple of the property for generations. First Impression: Light straw yellow hue with a hint of pink. Low carbonation. Smells of coconut and mint. Tasting Notes: One the drier side of semi-sweet. Light to medium bodied. Low tartness and acidity. No bitterness, sourness, funk, or tannins. Notes of canned pear, coconut flavor, and mint. Moderate length finish. Moderate pear flavor and flavor intensity. Low to moderate complexity. High sessionability. My Opinion: I liked it. However, I enjoyed the batch I tried previously better, as the coconut flavor seemed more real & intense, and it had nearly no noticeable mint. Most Similar to: Nothing I’ve tried. However, I’ve actually had a few ciders with mint – Portland Cider Co. Mojito, Jester & Judge Columbia Belle, and 101 Cider House Piña Menta. I’ve also had a couple ciders with coconut – One Tree Pina Colada and Reverend Nat’s The Passion. Closing Notes: This would be even better in summer, but it is tasty and easy to drink anytime. Have you tried Pear Up Pearjito Colada? What did you think? Review of Snowdrift’s Cidermaker’s Reserve. I have sampled it twice before (see here and here), but I’m doing a full review this time. I’ve also tried most of Snowdrift’s line-up: Cornice, Red, Perry, Cliffbreaks Blend, Dry, Semi-Dry, Seckel Perry, and Orchard Select. Cider Description: Taking the best of the best of our ciders, Cidermaker’s Reserve is a celebration of all the rich complexity cider apples have to offer. After a year of maturation, this cider then begins the full Méthode Champenoise process of in-bottle fermentation, which develops further layers of nuance. The labor of love pays off; its months of conditioning, riddling, and finishing yield a dry cider with continuously unfolding layers of spicy bittersweet apple character, citrusy brightness, and subtleties of toffee, aromatic wood and earth. Cidery Description: We craft our ciders from great cider apples that we grow on our orchard in sunny East Wenatchee, WA. Our incredible region gives our trees the ideal conditions to grow apples packed with the flavors necessary to produce fine ciders. Hot sunny summers and cold snowy winters result in apples that mature with incredible aromatics and delicious flavors. When ripened to perfection, we pick these apples and craft them with the utmost care into fine cider blends, resulting in rich ciders full of delicious complexity. How Found: I had tried it before, but my husband really wanted a bottle (this is probably his all time favorite cider). First Impression: Light gold amber hue. High carbonation. Smells acidic and fruity/grapey. Tasting Notes: Semi-dry. Light to medium bodied with a fluffy fizzy texture. Moderate tartness. Moderate to high acidity. Low bitterness. Low to moderate tannins. No sourness. Hints of funk. Notes of pomegranate, white grape, stone fruit, leather, butterscotch, lemon, and orange. Moderate to long warming finish, the only time when the 9% ABV is noticeable. Low apple flavor. Moderate sessionability and flavor intensity. Moderate to high complexity. My Opinion: Great! I enjoy this cider. Unique, complex, and bubbly, whats not to like? However, to me it almost tastes more like champagne than sparkling cider, except for the tannins. Closing Notes: My favorites from Snowdrift are the Red, Cornice, Cliffbreaks Blend, and Cidermaker’s Reserve. Have you tried Snowdrift Cidermaker’s Reserve? What did you think? Review of NV Cider’s Watermelon Hard Pear Cider. Its actually a perry as no apples were used, but I imagine they called it a pear cider as a lot of folks don’t know what perry is. I’ve tried a few varieties from them before; see here. Availability: WA and OR; see here. Cider Description: This is a perry made using native pear varieties from East Wenatchee, with watermelon extract. Note that they refer to it as a pear cider, but that is typically reserved for beverages made from both apples and pears, often fermented apple juice with pear juice added afterwards. First Impression: Pale straw yellow with hints of pink. Low carbonation. Smells of fresh sweet watermelon, pear, and white grape. The watermelon scent is quite strong at first but quickly dissipates. Tasting Notes: Semi-sweet. Medium bodied. Low carbonation. Low tartness but it has some bite. Moderate acidity. No bitterness, sourness, funk, or tannins. Notes of pear, watermelon, white grape, strawberry, and rhubarb. Quick finish. Low pear flavor. High sessionability. Low flavor intensity/fruitiness. My Opinion: This was tasty, but it left me wanting more watermelon flavor. Right after opening it had an awesome strong watermelon scent, but that diminished. I know that watermelon juice isn’t very flavorful, but I think this would have been a great cider to leave fairly unfiltered, which likely would have made it easier to get the watermelon flavor. Most Similar to: NV Cider’s Cherry Perry, which was also a fruity perry (see my tasting notes here). That one had a nice unfiltered aspect to it though, which I think helped add to the complexity. I like watermelon more than cherry, but I think the Cherry was pulled off better. The Cherry Perry was also sweeter, so I think that helped make it seem more flavorful. Closing Notes: I’m a huge watermelon fan, and although the flavor intensity was a bit lacking, it was an enjoyable perry. I look forward to seeing what else they come up with. Have you tried any perries? What did you think? Review of Snowdrift Summer Red. This is the second cider I’ve tried from Snowdrift (the first was Cornice), and the first time I’ve had cider from red-fleshed apples. Although there are a few other ciders to be found from red-fleshed apples, they are pretty rare. Variety Note: Per Snowdrift, “Summer Red” is being re-named simply to “Red”, and they are phasing out their similar Winter Red variety except for selected draft customers. Their Winter Red variety is a more intense higher alcohol version of Summer Red (9.0% ABV), and even more limited in availability. Their Red cider is one of their most popular varieties, and difficult to find. It has previously also been called “Nebula Red”. 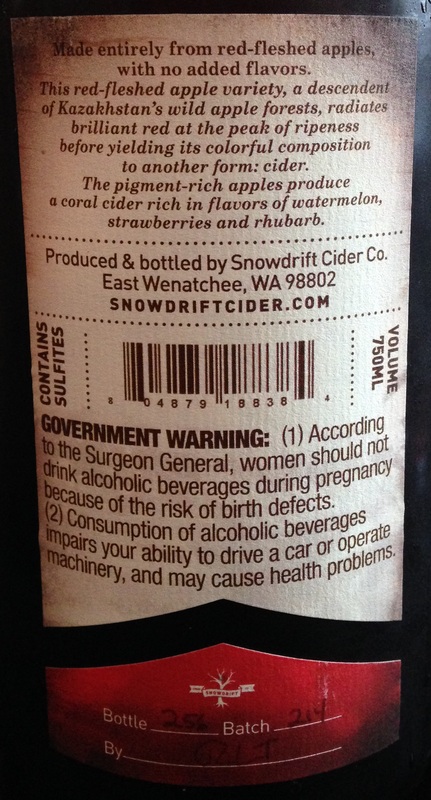 Special Thanks: Tim Larsen, owner & cidermaker at Snowdrift, was gracious enough to answer my questions and provide extra information on this cider. I really love their logo and bottle labels! Availability: WA, OR, CA, NY, NJ, & MA. Soon they will offer sales directly to consumers in 22 states from their website! Here is an interesting article on direct to consumer cider sales. Cider Description: Made entirely from red fleshed apples, from trees imported from Switzerland, only a couple generations removed from their native ancestors in the hills of Kazakhstan. All flavor components and color are natural to the apples. Red fleshed apples are an uncommon strain of apples that naturally developed the color pigments in the flesh of the apples, not just the skin. These apples are very tart & sour, giving great berry notes, particularly strawberry & cranberry. Depending on the apple variety, hints of watermelon and rhubarb can also be found. 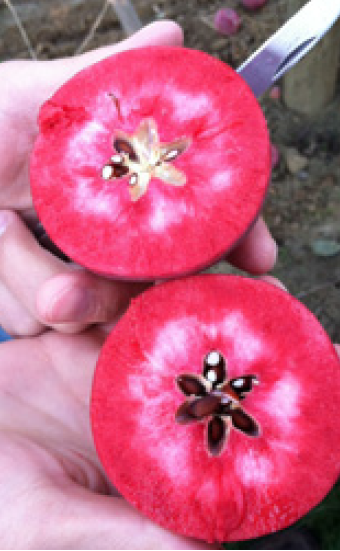 Their brilliant red flesh yields a crimson red cider with bright acidity. This cider is packed with flavors of cranberries, watermelon, rhubarb, & strawberries, finishing with soft toffee tones. Summer Red received a silver medal this year from Craft Competition. 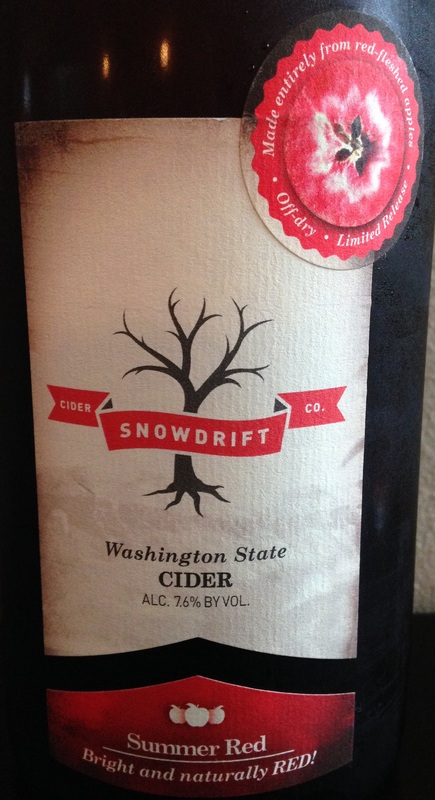 Cidery Description: Snowdrift is a farm-based cidery in sunny central Washington which grows over 35 varieties of cider apples which are blended into their ciders, available since 2009. They aim to showcase the best flavors from the special apple varieties, aging them to allow the tannins to mature into rich flavors before bottling. Tours and tastings are available. How Found: I’ve read about it online and had been on the hunt to find a bottle. First Impression: Brilliant coral berry pinkish red. Highly carbonated with a foam head / ring. Lovely berry-apple scent. I was enjoying the scent so much I almost didn’t want to start drinking the cider! But, I was very glad I did. Opinion: On the sweeter side of semi-dry. I pick up berry, watermelon, and cranberry notes. Moderate tartness and acidity. I was afraid it would be too tart for my liking, but the tartness worked really well with the flavor profile and was balanced with some sweetness. Refreshing, smooth, and crisp. Great summertime beverage! Easy to drink too, and since I had help drinking this one, the bottle was quickly empty. Unique and well-crafted. Although Snowdrift’s ciders are a bit spendy, you can really taste the difference and how much work goes into making a bottle of good craft cider (here is a recent Cider Journal article on that topic). My three of my companions all really enjoyed this cider too. What a treat! Closing Notes: Awesome! I’ll have to pick up more if I can find some. Highly recommended. This is a nice profile piece on Snowdrift from Serious Eats, although a bit old (from 2011). Here is a more recent one from 2014 from TDHURST. I look forward to trying more cider varieties from Snowdrift. This one from Pepper & Rye has some lovely photos of the Snowdrift cidery & orchards from 2014, and explains the Méthode Champenoise process they use. Have you tried any red cider varieties from Snowdrift or other cideries? What did you think? Kevin & Mark Van Reenen, brothers and co-founders of Neigel Vintners (NV) Cider out of Wenatchee WA, were nice enough to answer my request for an interview. 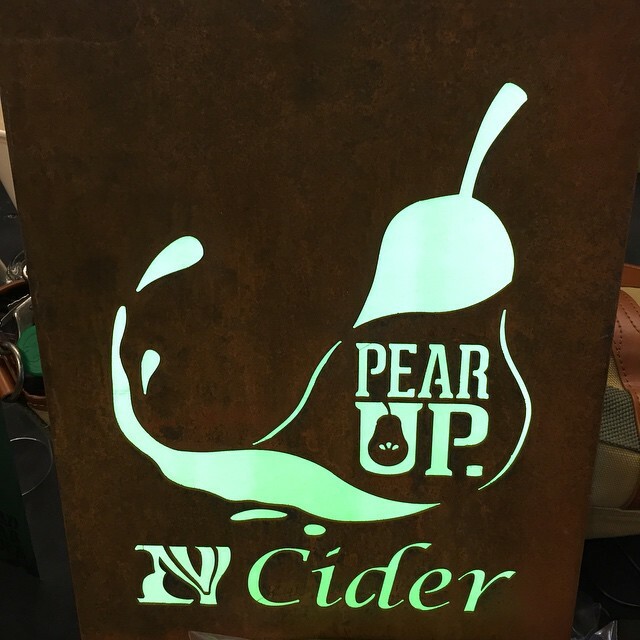 NV Cider currently offers four varieties, Pear Essentials, Pearfect Pie, Hoppin’ Pear, & Ginger Pear (past varieties have included Half Past Prudent, Cider Baron, & Forgotten Virtue). I’ve reviewed Half Past Prudent here at Cider Says, but my favorite so far is Pear Essentials. The following are their answers in response to my interview questions. The only changes I have made were formatting and some added information on upcoming cider events indicated with brackets. All photos in this article are from NV Cider’s Facebook page and NV Cider’s website, as everything is better with pictures. Enjoy! (1) What was your inspiration in starting NV Cider? We have a deep respect for the fruit that fostered our valley especially for the pears we grew up tending with the family. (2) I understand that the company is named after your grandfather, Sylvester Neigel, and that “Vintners” is a name for a wine maker/merchant. Why did you choose to use a wine descriptor for your perry company name? We always knew we wanted to keep the Neigel name going somehow as our grandfather just had two daughters. When considering what to use with Neigel we thought vintners worked well for two reasons…first the word itself connoted craft beverage to us and secondly, from early on, we knew that we wanted to shift into NV Cider. (3) Were you interested in cider/perry any time before taking over your grandfather’s pear orchard, or was that the first time? There were a couple of trips to the UK that really enhanced a love of cider that we had engrained for many years previous to that. (4) When developing a new variety, what is your process? ie. Do you go in wanting to yield a certain flavor profile, is it from playing around with new methods & ingredients and finding something you like, or something else? (5) My favorite of your perries that I’ve tried is what appears to be the sweetest one, Pear Essentials (I guess I have a bit of a sweet tooth), which I find to have a very pear-forward flavor more than anything I’ve tried (even other back sweetened products). Do you have anything extra to share about that variety, such as how it was developed? That product is our flagship and has enjoyed more attention than any of our other flavors. It received more versioning and refinement than anything we’ve done as we really wanted something true to pear flavor and as far from artificial as possible. (6) Some folks would go so far as to say that back sweetened cider/perry isn’t “craft”; do you have an opinion on that? I would actually argue that it is more craft. The finished product doesn’t get to be complete after just a careful fermentation and settling. When that is done it takes more work which includes careful ‘blending’ to introduce its own pre-fermentation juice at the right time and quantity to bring a really natural flavor. (7) Do you have a favorite perry that you make? One owner prefers Hoppin’ Pear as the best of beer and the best of cider and the other owner is still a fan of the first one we ever made which is a small batch single varietal run that is available only in September most years…Half Past Prudent. (8) Do you have any favorite ciders or perries? Absolutely, the two main offerings from Left Field Cider Co. in BC. Whenever we have a chance to head over the border our first purchases are Little Dry and Big Dry. Plus the cider makers are super fun. (9) Your new packaging looks awesome! The use of metal bottles is quite unique. Did you hire a designer, or did you have a pretty good idea of what you wanted when you went to the label & bottle manufacturer? Very early in our studies of the market environment we stood in front of the cider cooler at Chuck’s Hop Shop in Seattle and wondered which one we should start with. It was right there that we committed to never using an amber color 22oz glass bottle. We knew exactly what we wanted when we stipulated the exact pantone color and bottle dimensions to the manufacturer. The over-all marketing has been one of our favorite parts of the endeavor. (10) Are there any different considerations for bottling in Aluminum instead of Glass? What was the reason you went that way (uniqueness, to protect the product from UV list, etc)? A few factors include the ability of aluminum to help with the cooling of the product. The colder our perry is when it’s served, the more the pear flavor jumps forward. Uniqueness was another pro but actually a con that we considered was the fact that aluminum wouldn’t show off the refreshing light green color of the beverage. In the end it was a pretty easy decision to go with those bottles even though they are significantly more expensive than any other options we found. (11) Do you have any plans for a tasting room? Without a doubt we would love to have one as soon as possible. We have already started the ball rolling on purchasing the exact property we want and have lots of ideas for the finishings. Having recently received some huge orders, the tasting room is unfortunately further toward the back burner than we would hope. (12) What is your marketing strategy / target market? Although we have a higher end product with the pear base, we want this alternative to more sugary substitutes in consumption to be approachable by a broad market base. We have done and are doing everything possible to allow us to continue selling our products at a reasonable price point so that as many people as possible can enjoy our passion. (13) What changes have you noticed in the Washington cider/perry scene lately? Luckily we have seen cider take over more tap handles at on-premise locations which is definitely moving cider in the right direction. As for perry, we are still enjoying being one of only a few companies nationwide that do only perry. We have had the opportunity to educate many accounts on the difference between pear cider and perry. 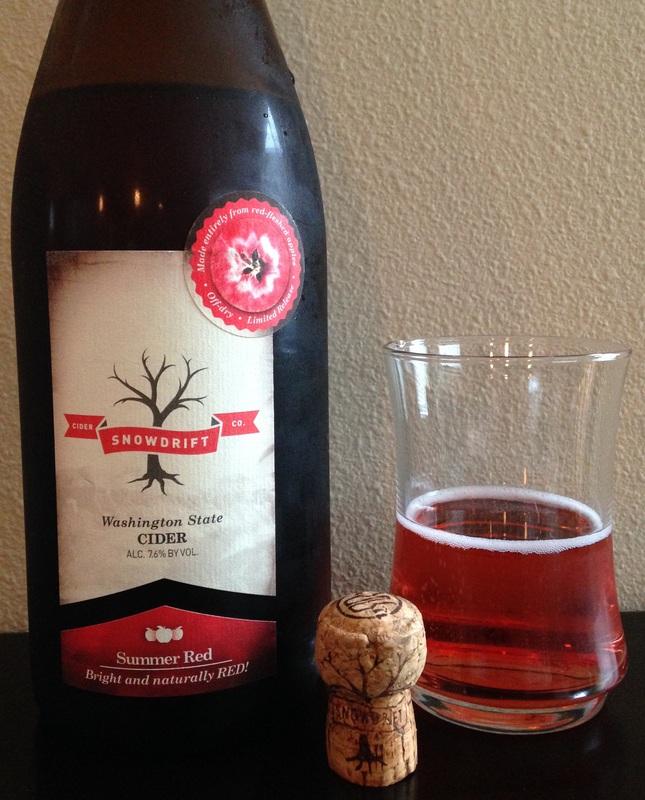 (14) Will NV Cider be at any upcoming tasting events in Washington such as Cider Summit? (15) Should we expect any new varieties soon? We are debuting Cherry Perry at the Seattle Cider Summit. This is a mature version of one of the first flavored ciders we tried years before becoming a company when we were just hobbying. (16) Anything else you’d like to share? Our approach of providing flavorful perries without added refined sugar is a backbone of the company and will drive our growth for years to come. Thanks again to Kevin & Mark Van Reenen from Neigel Vintners (NV) Cider! I look forward to checking out their new Cherry Perry variety at Cider Summit Seattle. I’ll also have to try Left Field Cider Co. (if I can find some), as that is the second recommendation I’ve seen for them.